Submit your recipe to help millions of people to find some delicious food ideas for their family and friends. We’re always looking for good recipes to add! We’d love to showcase your work! 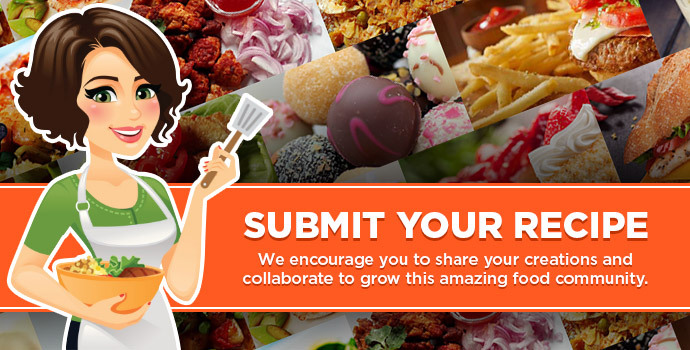 Whether you are a professional chef or home cook, we encourage you to share your creations and collaborate to grow this amazing food community. Also help millions of people to find some delicious food ideas for their family and friends. It’s very simple way to share your recipe to the world. Please Note: We will review your recipe and verify it complies with all the guidelines before publishing it. We reserve the right to edit the recipe or we can decide not to publish it.